There came the time at the end of the technical conversion to the 707 when the 'walk around' of the airframe took place, it being in the form of an inquisition of the machine's finer points; both meaningful and arcane. All its nooks and crannies were required to be explained to one's inquisitor, and if one could throw in some technical data during the discussion, (i.e. 'hydraulic fluid? You mean the MIL H 56-06?') etc, one would generally be left alone at that point as being up to scratch. One final query, almost as an afterthought, was along the lines of "Oh yes… before we go, where's the Slender Rice Flower?" Now the 707s, both the 'fighter' and the 'bomber', had, as their interior trim design, depictions of Australian wildflowers on the side panels, replicated on each panel. 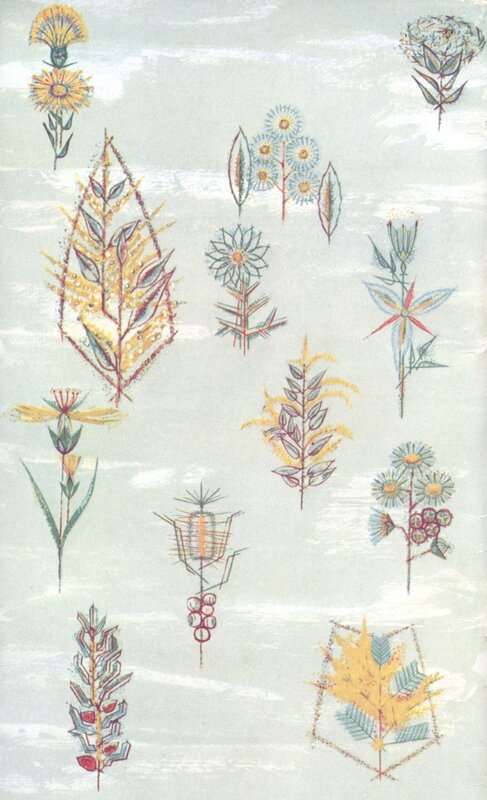 I recall the 'flannel flower', 'black wattle' and, of course, the 'slender rice flower', which, as luck would have it, coincided with the window cut-out in each panel; leaving only its name as proof of it once existing. This meant that on both sides of the aircraft one saw no depiction of the missing SRF! Except for the very rear port door area, where one of the windows had not been required, probably the last one aft, and there in all its glory was a pristine SRF. This was the site to answer the loaded question! Prior to my day of examination for the 1st Class endorsement, (1966), I had been crawling around one of our machines undergoing maintenance in the hangar at Mascot, and all the furnishings and fittings had been removed for a major overhaul. And what did I find but a second SRF, again on the port side, but this time up behind the front coat closet. Pure gold! My inquisitor was kind enough to concede the point. p.s. The bomber, the 338c, being longer, had not two but three of these elusive little flowers. The aircraft as initially operated had a main deck cargo compartment on the port side, just aft of the front entry door and running several feet aft to the wing leading edge. It was balanced on the starboard side with a small lounge, seating about six, for the enjoyment of the first class passengers, but a focal point for positioning crewmembers shortly after getting airborne. When the time came for a similar nuts 'n' bolts checkout, when completing my command in '69, I blew my inquisitor away when challenged, by retorting 'which of the three SRFs would you like?'. appears in the upper right corner.